But the decision not to vaccinate does not mean that parents can be careless about protecting their children from disease. While some of the illnesses we vaccinate for are extremely rare (tetanus, diphtheria), unlikely to cause harm to children (chicken pox, mumps, rubella) or not a threat to children (hepatitis B), others like measles or polio can have serious consequences in poorly nourished youngsters. It’s up to parents to provide the kind of diet that will give their child robust natural immunity—and that’s the same kind of diet that will give a child good health overall. Here’s a bucket list of items that will keep your children healthy and strong. FOODS RICH IN VITAMIN A: Vitamin A is our number one protection against disease; the immune system cannot function without vitamin A. This vitamin protects against colds and flu, and in the case of measles, will protect against the side effects such as blindness and seizures. Vitamin A also protects us against toxins like pesticides—which some believe are the cause of polio and its modern equivalent, acute flaccid myelitis. Two important points about vitamin A: first, we cannot get adequate vitamin A by converting the carotenes in fruits and vegetables into the true vitamin A. Children make this conversion very poorly, if at all, and even many adults lack the mechanisms to convert carotenes into vitamin A. Secondly, vitamin A requires vitamins D and K2 as co-factors. Vitamin A taken alone can have toxic side effects, but vitamin A taken in the context of a diet containing vitamins D and K2 is highly beneficial, not detrimental. This is good news because the foods that provide us with vitamin A, usually also contain vitamins D and K2—foods like butter from grass-fed cows, egg yolks from pastured chickens, aged natural cheese, shellfish and organ meats like liver. Egg yolks and pureed liver are ideal foods for weaning baby and liverwurst or pate is a great way to get vitamin A into your growing child. The raw whey proteins in raw milk are also our best source of glutathione, the body’s key detoxification compound. Again, these whey proteins only provide active glutathione when they are raw. Studies from Europe indicate that children who drink raw milk have fewer respiratory infections, and less asthma, allergies and skin rashes compared to children who do not consume raw milk. The presence of immune compounds and glutathione explains these results. 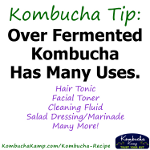 Fermented foods like raw sauerkraut, homemade kefir and aged raw cheese contain beneficial protective bacteria. Eaten on a daily basis, the bacteria in these foods colonize the intestinal tract where they provide powerful protection against pathogens. During the past twenty years, scientists have learned that gut bacteria are critical to health. In fact, about 80 percent of our immune system comes from beneficial gut flora. In addition, the biofilm of good bacteria in the gut provides a barrier to heavy metals like aluminum and mercury. Children should be introduced to fermented foods at an early age so they learn to like the sour taste. Homemade bone broth contains high levels of glycine, which supports the liver’s detoxification mechanisms. Moms should make broth-making part of their routine and use it in soups, sauces, stews and gravies. Bone broth also helps children built strong tendons and bones. An added bonus is stable moods in your children, as glycine in bone broth helps regulate dopamine production. It’s a difficult thing to do in this age of industrial food production, but parents will confer the great blessing of good health on their children by keeping them away from processed food as much as possible, especially refined sweeteners like sugar, high fructose corn syrup and agave. Early studies showed that children who eat a lot of sugar get sick more often. Sugar uses up nutrients that the body needs to support the immune system. Vegetable oils are known to depress the immune system, while natural saturated animal fats support the immune system. Cook in animal fats like butter and lard, and give your children butter instead of margarine and spreads. Make your own salad dressing using olive oil rather than purchase ready-made dressings, which are made with the cheapest oils and loaded with additives. In short, the recipe for protecting your children from disease and ensuring they will grow up healthy and strong in the process is an old-fashioned, home-prepared diet rich in butter, eggs, cheese and nutrient-dense animal foods like liver and red meat. Fruits and vegetables can serve as vehicles for butter and cream! The addition of raw milk, fermented foods, bone broths and, above all, cod liver oil to your child’s diet will compensate for the occasional junk food that cannot be avoided. This is the Wise Traditions diet—vastly superior than vaccinations for protecting your children from disease throughout their growing years. The Weston A. Price Foundation is your source for information on how to ensure healthy children through nutrient-dense food. The science doesn’t hold up this statement. This debates is long dead. Every study has debunked the idea that vaccines are dangerous. These are well documented studies done with rigorous scientific methodology. Without vaccines we would still be dealing with small pox and polio, which killed thousands. Today they have nearly been eradicated and can only be found in very remote pockets in the world. Global Advisory Committee on Vaccine Safety. 3–4 December 2003. Wkly Epidemiol Rec 2004; 79: 16-20. Zhou W, Pool V, Iskander JK, English-Bullard R, Ball R, Wise RP, et al. Surveillance for safety after immunisation: Vaccine Adverse Event Reporting System (VAERS) – United States, 1991–2001. MMWR Surveill Summ 2003; 52: 1-24. MacIntyre CR, Leask J. Immunisation myths and realities: responding to arguments against immunisation. J Paediatr Child Health 2003; 39: 487-91. Folb PI, Bernastowska E, Chen R, Clemens J, Dodoo AN, Ellenberg SS, et al. A global perspective on vaccine safety and public health: the Global Advisory Committee on Vaccine Safety. Am J Public Health 2004; 94: 1926-31. Atkinson P, Cullinan C, Jones J, Fraser G, Maguire H. Large outbreak of measles in London: reversal of health inequalities. Arch Dis Child 2005; 90: 424-5. Andre FE. What can be done to make vaccines more trendy? Expert Rev Vaccines 2005; 4: 23-5. Henderson DA. Lessons from the eradication campaigns. Vaccine 1999; 17: S53-5. Fine PE, Griffiths UK. Global poliomyelitis eradication: status and implications. Lancet 2007; 369: 1321-2. Muller CP, Kremer JR, Best JM, Dourado I, Triki H, Reef S. WHO Steering Committee for Measles and Rubella. Reducing global disease burden of measles and rubella: report of the WHO Steering Committee on research related to measles and rubella vaccines and vaccination, 2005. Vaccine 2007; 25: 1-9. Peltola H, Davidkin I, Paunio M, Valle M, Leinikki P, Heinonen OP. Mumps and rubella eliminated from Finland. JAMA 2000; 284: 2643-7.
WHO position paper on Haemophilus influenzae type b conjugate vaccines. Wkly Epidemiol Rec 2006; 81: 445-52. Parker AA, Staggs W, Dayan GH, Ortega-Sanchez IR, Rota PA, Lowe L, et al. Implications of a 2005 measles outbreak in Indiana for sustained elimination of measles in the United States. N Engl J Med 2006; 355: 447-55. Schmitt HJ, von Kries R, Hassenpflug B, Hermann M, Siedler A, Niessing W, et al. Haemophilus influenzae type b disease: impact and effectiveness of diphtheria-tetanus toxoids – acellular pertussis (-inactivated poliovirus)/H. influenzae type b combination vaccines. Pediatr Infect Dis J 2001; 20: 767-74. Olin P, Gustafsson L, Barreto L, Hessel L, Mast TC, Rie AR, et al. Declining pertussis incidence in Sweden following the introduction of acellular pertussis vaccine. Vaccine 2003; 21: 2015-21. Succi RC, Farhat CK. Vaccination in special situations. J Pediatr (Rio J) 2006; 82: S91-100. Ehreth J. The global value of vaccination. Vaccine 2003; 21: 596-600. Anon. Impact of vaccines universally recommended for children. 1900–1998. Mortal Morb Wkly Rep 1999; 48: 243-8. Cutts FT, Zaman SM, Enwere G, Jaffar S, Levine OS, Okobo JB, et al. Gambian Pneumococcal Vaccine Trial Group. Efficacy of nine-valent pneumococcal conjugate vaccine against pneumonia and invasive pneumococcal disease in The Gambia: randomised, double-blind, placebo-controlled trial. Lancet 2005; 365: 1139-46. Ruiz-Palacios GM, Perez-Schael I, Velazquez FR, Abate H, Breuer T, Clemens SC, et al. Safety and efficacy of an attenuated vaccine against severe rotavirus gastroenteritis. N Engl J Med 2006; 354: 11-22. Schmitt HJ, von Konig CH, Neiss A, Bogaerts H, Bock HL, Schulte-Wissermann H, et al. Efficacy of acellular pertussis vaccine in early childhood after household exposure. JAMA 1996; 275: 37-41. Preziosi M-P, Halloran ME. Effect of pertussis vaccination on disease: vaccine efficacy in reducing clinical severity. Clin Infect Dis 2003; 37: 772-9. Vazquez M, LaRussa PS, Gershon AA, Niccolai LM, Muehlenbein CE, Steinberg SP, et al. Effectiveness over time of varicella vaccine. JAMA 2004; 291: 851-5. Innis BL, Snitbhan R, Kunasol P, Laorakpongse T, Poopatanakol W, Kozik CA, et al. Protection against hepatitis A by an inactivated vaccine. JAMA 1994; 271: 1328-34. Harper DM, Franco EL, Wheeler CM, Moscicki AB, Romanowski B, Roteli-Martins CM, et al. HPV Vaccine Study Group. Sustained efficacy up to 4.5 years of a bivalent L1 virus-like particle vaccine against human papillomavirus types 16 and 18: follow-up from a randomised control trial. Lancet 2006; 367: 1247-55. Banatvala J, Van Damme P, Oehen S. Lifelong protection against hepatitis B: the role of vaccine immunogenicity in immune memory. Vaccine 2000; 19: 877-85. Thank you for all you do and have done with WAPF. I learned about you a few years ago from a friend in Northern California about 10 years ago and our family has been so grateful. I’m have become a member of WAPF and speak volumes when I am with others. Cod liver oil, butter and lard and the Weston price baby formula are staples in our house with our 2 kids for last 5 years. They are both happy calm Healthy Thank GOD, Children. Please know you are making a difference to all of us with all your efforts. Also Love the Nourish Trad Podcasts With Hilda, my kids and I listen on our way to school and work daily. My wife and 10 month old daughter are traveling from Canada to Russia later this month. Do you have a book to suggest reading or some advice that you could suggest for traveling with a baby. The modern medical advice is simple ‘be up to date on your vaccines. Are their any vaccines needed? I am sure they can get good butter, eggs, dairy in Russia, but they will not be able to get cod liver oil. just a quick question. You recommend serving liver that is frozen and then grated for infant food. Is this cooked or raw liver? Thanks.